When plumbing problems strike, call Plumbing Masters. We specialize in residential plumbing and HVAC services for clients throughout the St. Louis area. Since 1984, we have been helping homeowners improve their properties with installations, repairs, and maintenance. Whether you have a blocked drain or you want a new water heater, you can count on us. 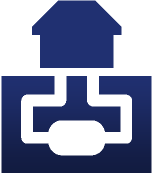 All of our vehicles are clearly identified with our company branding, and our plumbers are licensed, friendly, efficient, and highly trained. 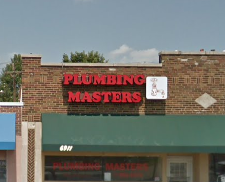 Plumbing Masters is a family-owned plumbing company based in St. Louis. For 35 years, we have been serving residential clients throughout the region. Joe Elking Sr., Ralph Ragsdale, Joe Elking Jr., and Nick Ragsdale are all graduates of Christian Brothers College High School. Together, they make sure that each and every client receives top-notch service and great value for money. They live by the motto, "Take care of your customers, and they will take care of you," and they are proud to be trusted by so many families throughout the St. Louis area.